Speaker: Jim McDermott, M.D., former Member of the U.S. House of Representatives (1989-2016, 7th Congressional District, state of Washington). When: Thursday, 12th October 2018, 1900-2100. As we advance toward U.S. midterm election day on 6th November, Jim McDermott will talk about the possible outcome of the elections. The midterms are often regarded as a referendum on the sitting President’s performance. This year, much seems to be at stake, and interest is high both inside and outside the U.S. Since Donald J. Trump’s 2016 election as President, the political landscape has changed: the country and its two major parties are deeply divided, old truths are increasingly called into question, and the future course of the country remains unclear. 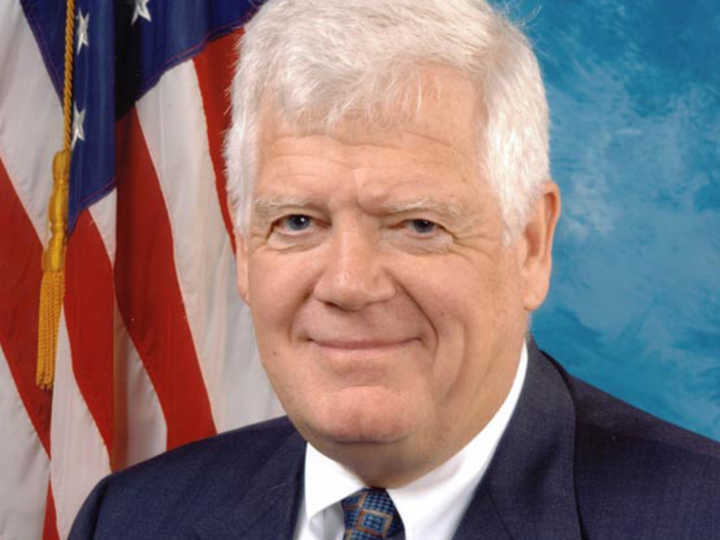 Congressman Jim McDermott will shed light on the elections and their possible outcomes, and will explain what this might mean for U.S. domestic politics and transatlantic relations. James “Jim” Adalbert McDermott, M.D. was a member of the U.S. House of Representatives from 1989 to 2016 for the 7th Congressional District of Washington. We over 40 years of public service in the federal and state government, he served on the United States House Ways and Means Committee, i.e. the House of Representatives’ chief tax-writing committee, and was a member of its Progressive Caucus. He has frequently appeared on major national and international media outlets and is known as an accomplished communicator – e.g. through his TEDx talks. Jim McDermott holds a Doctor of Medicine from the University of Illinois and a Bachelor of Science from Wheaton College in Illinois.